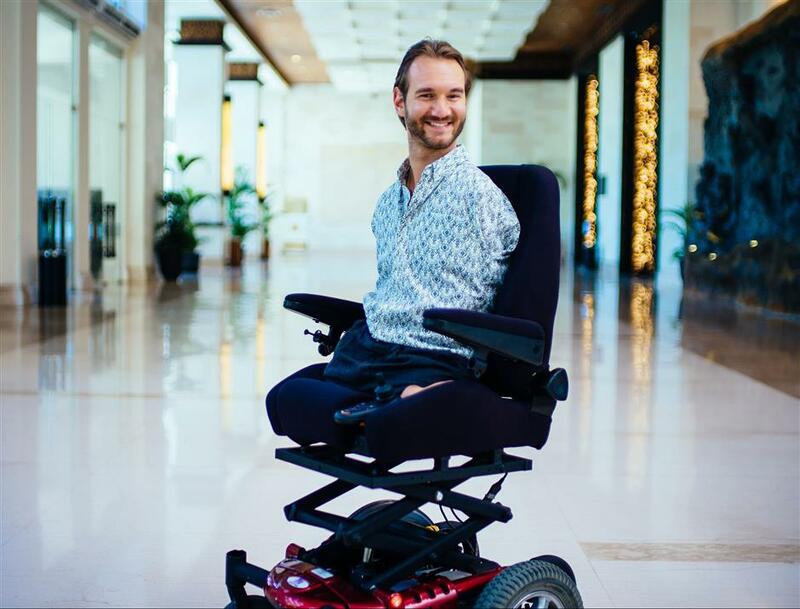 Nick Vujicic was born without limbs, but instead of moaning the 35-year-old Australian uses his personal experiences to motivate people all over the world. Nick Vujicic has an answer for everything. Born in Melbourne with tetra-amelia syndrome, a rare disorder characterized by the absence of limbs, 35-year-old Australian uses his story to inspire people around the world about the possibilities that lie ahead of them — only if they have the will for it. 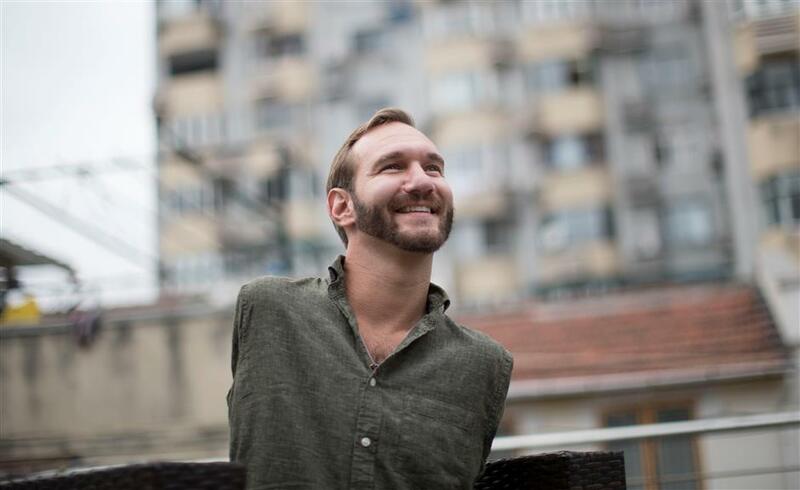 A frequent visitor to China, Vujicic gave motivational lectures in Shenzhen, Shenyang, Shanghai and Chengdu earlier this month. 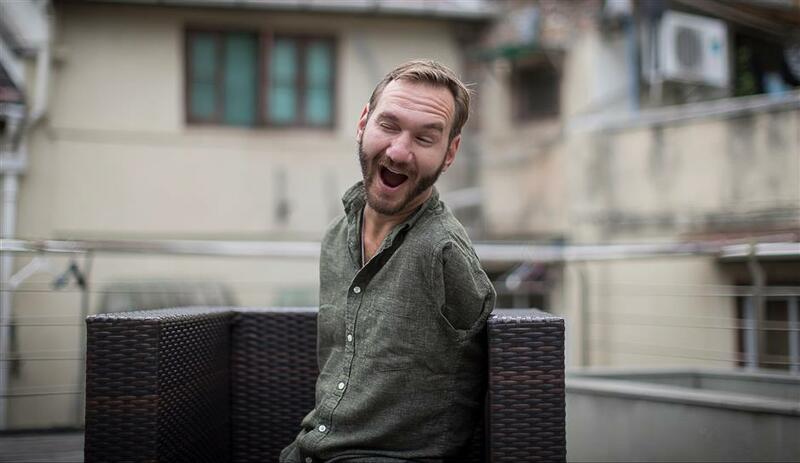 To interact with the Chinese fans, Vujicic opened an account on Twitter-like Weibo (@尼克胡哲_NickVujicic). Since May, he posted more than 50 videos that have been well-received by his followers. Nick Vujicic addresses an audience of 25,000 people in Chengdu, Sichuan Province. Vujicic, who was born without arms and legs, was only blessed with two small deformed feet. In his book, “Stand Strong,” he describes himself as “a bully’s dream,” but that did not stop him from reaching out to the world. He got married in 2012 and has two sons. His wife, Kanae Miyahara, is now pregnant with twin girls. 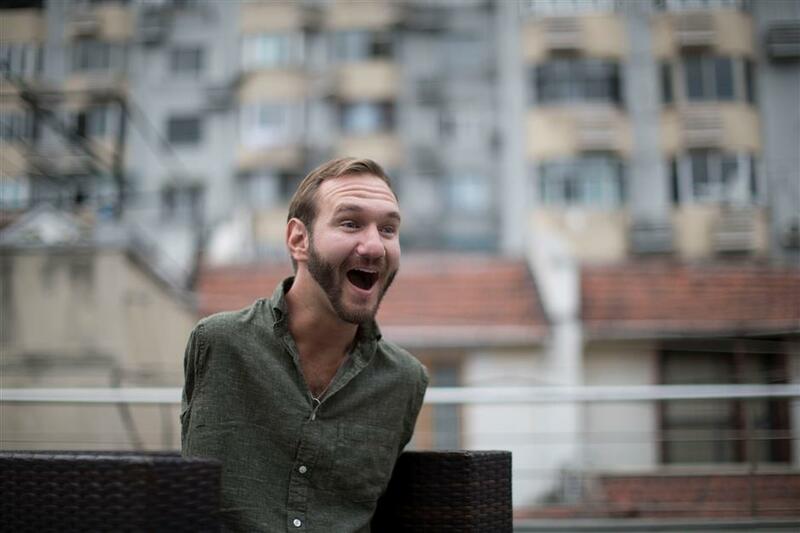 While in Shanghai meeting with the media, Vujicic remained positive and humorous and never once talked of his deformity. “We all can be a friend for someone else. To be a friend, you don't need arms and legs. And sometimes a good friend is really a big difference. “I don’t think of myself extraordinary. I think of myself an ordinary person achieving extraordinary things,” he says. The Australian first arrived in China 10 years ago. His second trip was in 2008 when Wenchuan in Sichuan Province was hit by a devastating earthquake that left nearly 90,000 people dead and missing. 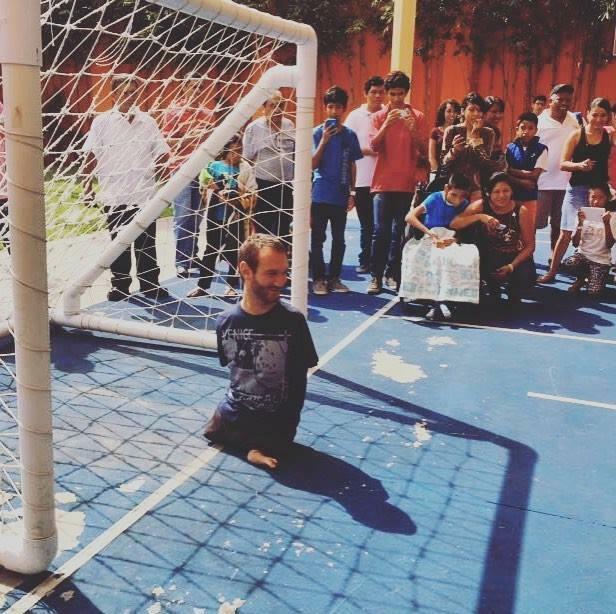 Vujicic used money from his foundation to help the earthquake victims and spent days with the orphans. He tried to reach out to them. Then there is pressure from peers, parents and young people themselves. “I was just talking with a woman who was saying that she didn’t know how to get through to her son (who was under great pressure). She told him so many times that you don't have to be No. 1, you don't have to be in the top 20 to get into the best college,” Vujicic says. “We want people to be able to love themselves, respect themselves and be encouraged with love. I think love is the most powerful thing. What they talked about was more than just school or homework or job, but really about life. 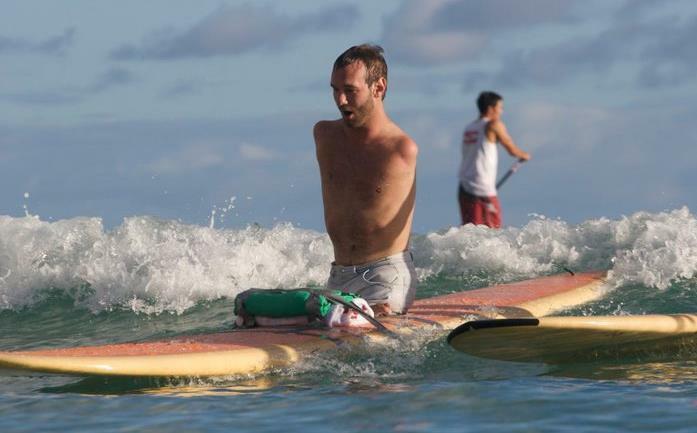 Nick Vujicic learns surfing in Hawaii from American surfer Bethany Hamilton, who survived a 2003 shark attack and lost her left arm. 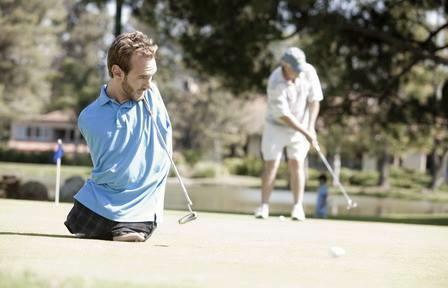 Nick Vujicic plays golf by using his neck and shoulder. One thing that he observed was that everyone in China listens. During this trip, Vujicic also met people with disabilities on stage.